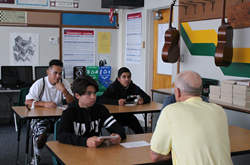 Classes at Archbishop Hanna High School, which first opened its doors to students in 1949, began on August 21, 2017 at Hanna Boys Center’s Sonoma campus. Hanna Boys Center is a therapeutic residential school for at-risk young men, many from underserved and disadvantaged communities, primarily in Northern California. Small class sizes allow students at Hanna to receive individual help. Classes at Archbishop Hanna High School, which first opened its doors to students in 1949, began on August 21, 2017 at Hanna Boys Center’s Sonoma campus. The school is home to about 100 boys in grades eight through 12. Hanna Boys Center is a therapeutic residential school for at-risk young men, many from underserved and disadvantaged communities, primarily in Northern California. 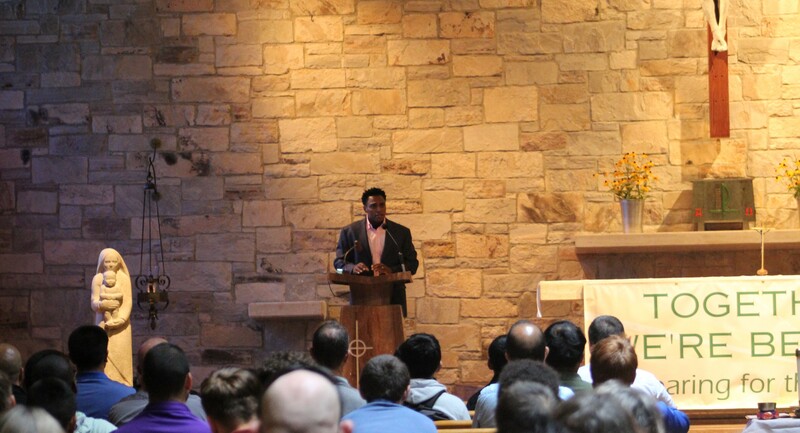 Opening day of school ceremonies for Archbishop Hanna included a special address in the Our Lady of Fatima Chapel by Hanna’s Chairman of the Board, Tullus Miller. Mr. Miller addressed the students on taking ownership of their own futures and being accountable for their own self-care. Principal Dennis Crandall also introduced his 2017-18 theme for students: Together We’re Better – Preparing for the Future. All boys receive a comprehensive educational assessment to better understand their strengths and challenges, and build a comprehensive educational plan. Principal Crandall and his teachers provide students individualized attention and help in specially-designed small class sizes. The school is fully accredited through both the Western Catholic Educational Association and the Western Association of Schools and Colleges, and tuition is based upon each family’s ability to pay; no boy is ever denied admission for financial reasons. In addition to traditional academics, Hanna students take classes in foreign language, music, vocational and agricultural programs—all while learning practical, vital life skills, and developing respect for their community and Hanna’s faith traditions. Hanna boys also have opportunities to participate in athletic programs including baseball, basketball, soccer, volleyball and wrestling. Families interested in learning more about Hanna should contact Hanna’s Admissions Department @ 707-933-2515. To get started on the application process, visit http://www.hannacenter.org/application.